Many Muslims give to charity in a carefree manner. On the surface, this seems like something good, as it shows that we are able to fight and overcome the natural attachment to our own wealth. We all know that wealth is an Amanah from Allah swt for us to do good with, and so giving charity especially small amounts becomes an easy thing to do. Sadaqah is a beautiful concept in Islam, where even a smile is considered Sadaqah. 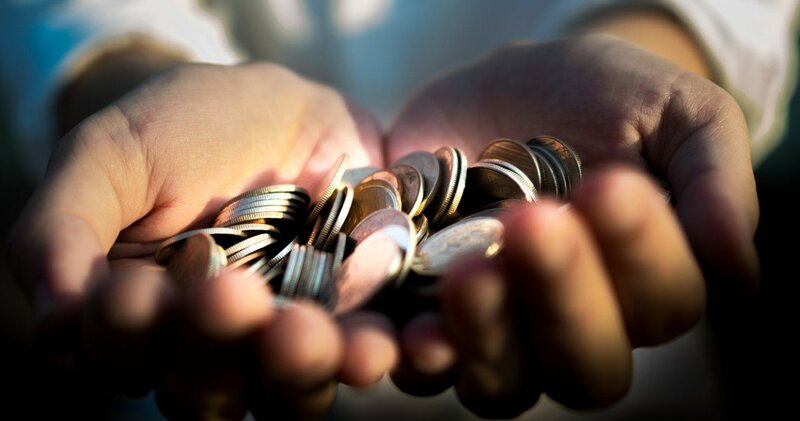 In this article, I share some thoughts about giving Sadaqah in the form of money. Sometimes people give Sadaqah even when they are not sure if they are giving to the right person or cause. I myself have given Sadaqah even when in doubt. Children begging for money on the streets in a developing country is likely part of a syndicate that forced them to go out to raise funds. Donation cans and boxes with no clarity about the beneficiary still make their rounds in developed countries, and get filled by well-intentioned donors. Some people give as a matter of habit – what other options are there? I also observe that some people give even though they are suspicious of the validity of the cause. The decision to give is usually at the spur of the moment – a quick and hasty decision based on misplaced sympathy. The mindset to investing however is totally different. Investment involves serious consideration, analyses or at the very least, a huge dose of trust. People only invest when they understand and are attracted to an opportunity, or when they trust the broker or company promoting the opportunity. Savvy investors learn and research strategies and trends, before taking the step to invest. We compare options and different products, and track movements and changes in the market. Obviously a key difference is we expect our investments to come back to us with profits, and expect nothing back from Sadaqah. Investment is two-way while Sadaqah is one-way. Let’s look deeper, and more spiritually. Both Investment and Sadaqah are essentially the act of giving personal money to others, for a specific or general use. Personal money is entrusted to us by Allah swt. Giving away this money must be done with responsibility and care. Whether we expect it back or not, the point to consider first of all is that we are entrusted with a limited amount of money. I firmly believe that if we take Sadaqah more seriously, that the impact would be immediate and significant. Sadaqah seems small and less important relative to investment. Well, here’s a mind-boggling figure: The Islamic Development Bank’s research institute estimates that Zakat (compulsory charity) collections come up to a total of at least US$500billion a year. US$500billion! This is about 20 times more than total global humanitarian aid. Just think about it. The amount of Zakat we give every single year is so huge, yet the poorest communities and countries are Muslim. The beautiful system of Zakat alone should be more than enough to eradicate poverty. What about Waqf, which is the wealth of the Ummah? We’ve not even touched on Sadaqah – how much money passes to more than a million mosques worldwide every single week? Let’s be conservative: if every mosque raises only $1,000 a week, times 52 weeks times 1 million = $52 billion a year. In reality, it may even be much more. Clearly we are a wealthy Ummah, purely based on charity giving. Clearly also, our system of distribution of this money is terribly broken. We give the most and still remain the most needy. Based on these numbers and observable impact (or lack of it), the trust that we we have in the groups and organisations that collect Muslim charity is misplaced. In many cases, our trust is abused for personal gain. Even for those who are sincere and honest, there is a lack of understanding and procedures in place to prevent leakages and fraud. How do we improve this situation, and in doing so start to solve the problems of the Ummah? One avenue to create positive change is through Crowdfunding. Crowdfunding provides platforms that are transparent and with progress updates on campaigns. Donors can choose and give directly to the causes they are most attracted to. Crowdfunding brings the power back to the people giving charity, in stark contrast to the deeply-rooted traditional systems that are based on trust and goodwill. Crowdfunding is not a new concept, it has been hugely successful in the US, parts of Europe and China. The largest platforms now move billions of dollars every quarter. What is needed now is to create awareness, adoption and momentum for Crowdfunding. Crowdfunding is not meant to replace mosques and Muslim charities. On the contrary, it is meant to help mosques and charities fulfill their role better, and in doing so raise even more funds for them. Crowdfunding brings positive pressure for positive change, and over time ensure a fairer circulation of wealth within the Ummah. As Crowdfunding gains momentum, it will start to automatically ensure that the heavy Amanah of giving, and the Amanah of distributing and receiving is upheld by all of us, together.